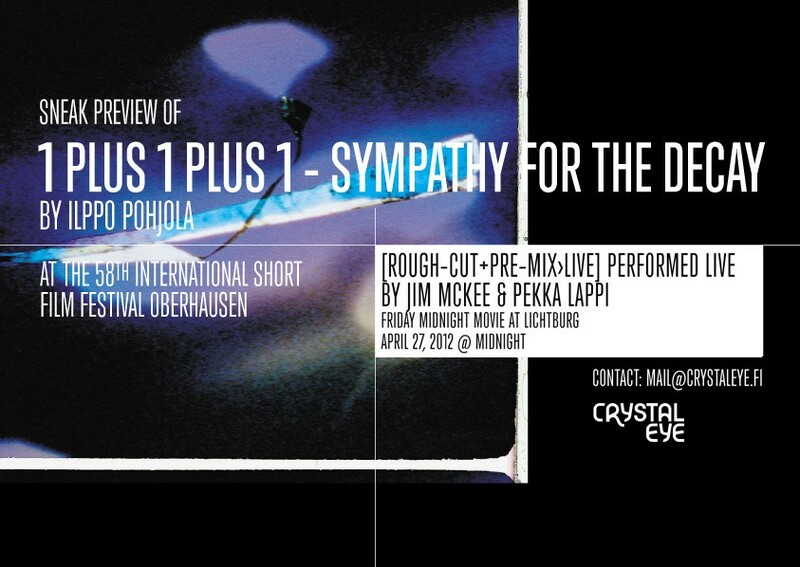 1 PLUS 1 PLUS 1 – SYMPATHY FOR THE DECAY is an abstract expressionist film in three episodes. Using three different documentary formats, it explores the disappearance of man-made materials into nature, pollution-related changes in micro-organisms, and tests performed on human cadavers. Each autonomous episode has its own distinct theme and form, yet together they build up into one conceptual, contextual, cinematic unity. The key aim of 1+1+1 is to orchestrate the black-and-white documentary material and the animated abstract hand-coloured footage into a musical work that functions as a film. 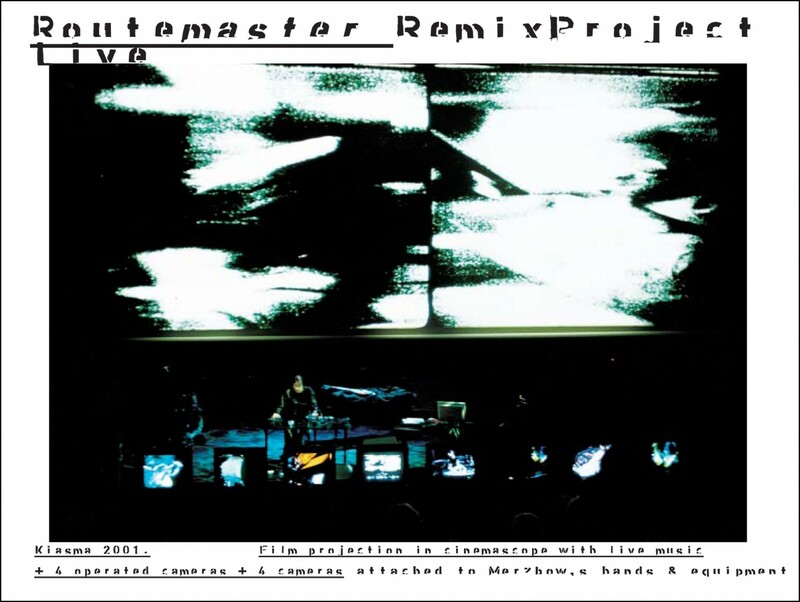 Routemaster Remix Project Live is a multimedia event that blurs the boundaries between cinema and concert. Routemaster – Theatre of the Motor by Ilppo Pohjola is projected in cinemascope format together with live music performaces by Jim McKee & Wieslaw Pogorzelski (members of an Oscar Award winning sound design team from San Francisco) and Merzbow (avant garde noise god from Tokyo). Their performances are shot with eight cameras and fed live to monitors and video projectors on the stage. Routemaster Remix Project Live conveys the sensation of speed. Its set-up —pulsating b/w cinemascope film, extraordinary live music performances together with real-time video images on monitors and projectors — creates an overwhelming no-holds-barred wall of sound and images that turns the event into an overpowering physical experience. STORMY SILENCE is a slide show duet of camera and guitar, and a photographic book with 7” single exploring the influence of instrumental music on the interpretation of abstract color photographs.